For months, I’ve been looking forward to making a trip to Montezuma NWR. This New York birding hotspot, conveniently located (for me, but YMMV) between Rochester and Syracuse, deserves consideration any time of year but my interest was the last waterfowl of winter. Was I too late for Snow Geese? The answer, sadly, was yes yet the Main Pool was far from empty. Seth and I racked up a mighty duck day list: Gadwall, American Wigeon, American Black Duck, Mallard, Blue-winged Teal, Northern Shoveler, Northern Pintail, Green-winged Teal, Canvasback, Redhead, Ring-necked Duck, Lesser Scaup, Bufflehead, Ruddy Duck, and Common Merganser. Awesome rafts of Aythya-species ducks were everywhere, as were shovelers, teal, and oodles of American Coots and Canada Geese. We also added singletons of Double-crested Cormorant, Common Loon, and what I believe was a Trumpeter Swan. We weren’t just about waterfowl. 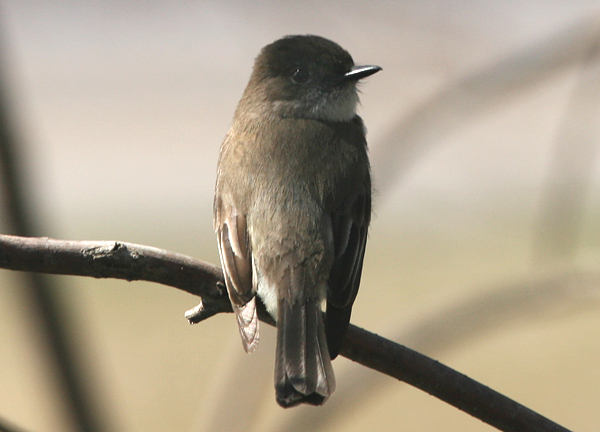 On a sunny spring day in early April, a birder’s fancy often turns to returning migrants like Tree Swallows or Eastern Phoebes. 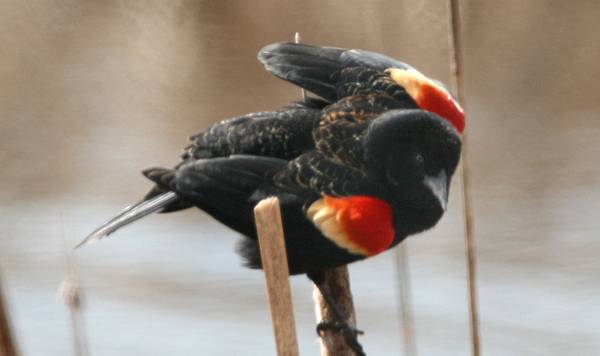 Also appearing in prodigious numbers are those rulers of reedbeds, Red-winged Blackbirds. The most unusual sighting of the day was an early Greater Yellowlegs that had me convinced its legs were actually red. Suffice to say, better lighting dispelled that confusion. Cranes and bitterns, birds I always associate with the best of this refuge, were nowhere to be seen, which simply assures we’ll be returning sooner rather than later. 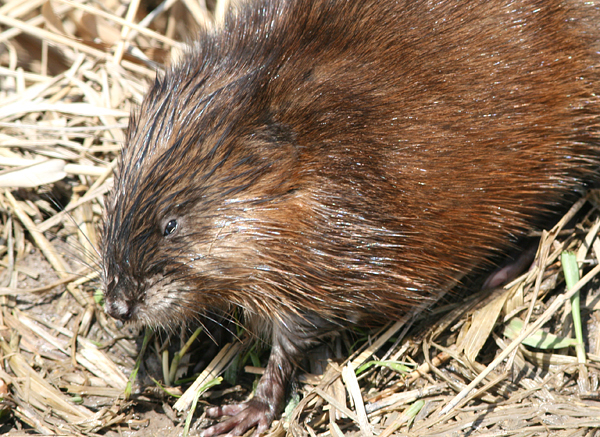 Montezuma has that much to offer along with mammalian attractions like this confiding Muskrat. I’ve got the makings of a muskrat gallery you’ll love. 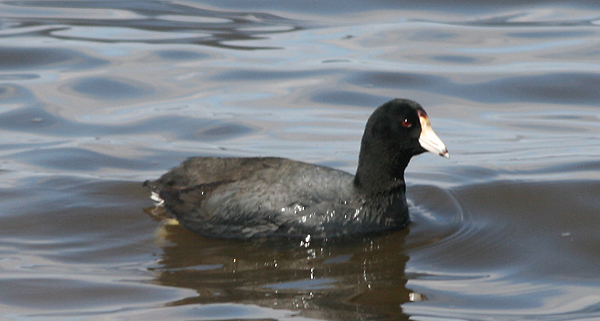 Oh man, this post has me reminiscing my birdwatching days in the Cayuga basin. 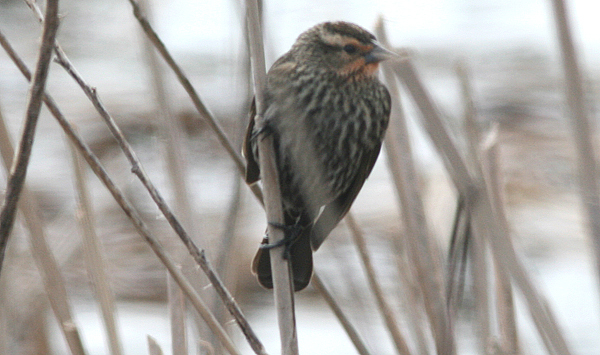 Montezuma NWR was the jewel of the basin. What a fantastic place to go birding. Ok, I was drooling over your duck list! What a great place that must be.